Odeniran Deborah Olamide: NEED or WANT??? We are saddled with responsibilities. Always want to meet up with that budget just to have it or perhaps satisfy our cravings(at times not considering the scale of preference). 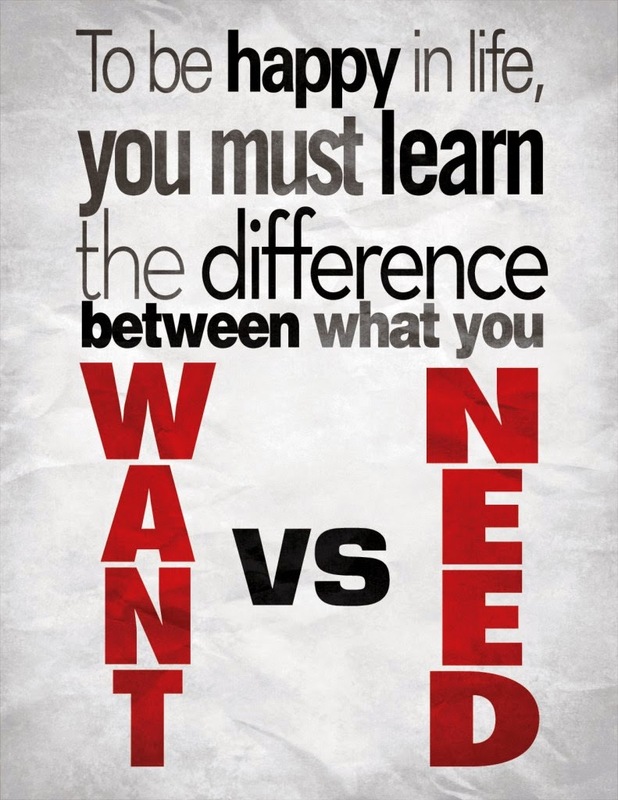 Have we at a point ever asked ourselves if what we desire at that moment is “a want” or “need”?. Most times, we tend to magnify our want over need. Thereby, ignoring the real necessities OF life. Eeerm, have you heard that S5 is out?, I really must get it, ignoring the fact that (s)he just got a Q5 two months ago. Don’t get me wrong, there’s this slight difference between being a gadget freak and wanting everything in a silly way. I mean sense is really needed particularly when it comes to dealing with spending money. Thereby , getting carried away doing the wrong thing at the wrong time and all we’d end up hearing is the testimony of how easy life is (ironically) because we didn’t rule our budget out according to the scale of preference but because of our want which at times, emerges as a result of coveting other people’s things not considering what is at stake. Don't get me wrong, i'm not saying you shouldn't get all you want, but the application of our Number 6 is necessarily important(pick either necessary or important, english won't turn me crazy) .